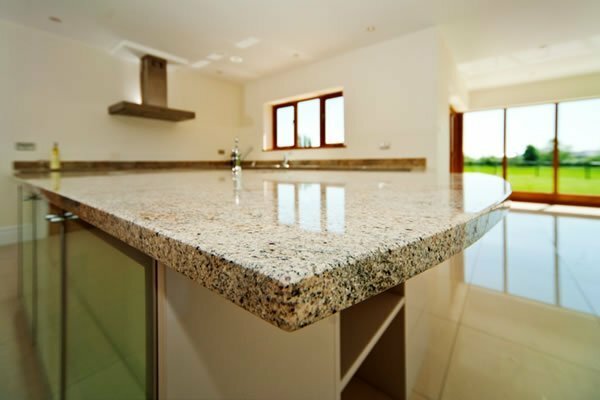 Mr and Mrs C were building a superb farmhouse residence on the outskirts of Guildford and chose our Ivory Fantasy granite worktops to complement their pale grey and glass units. 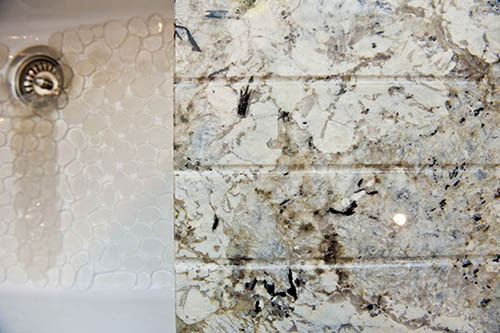 Ivory Fantasy has been one of our best-selling non-Black stones. Part of the “Kashmir” family, Ivory Fantasy actually comes from Southern India, and is a high-grade metamorphic rock of great beauty. 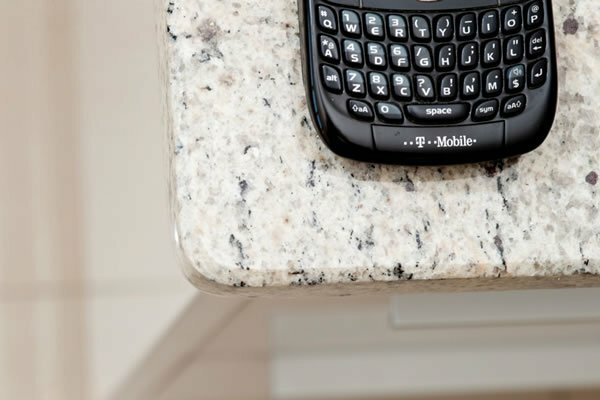 It needs to be respected with occasional resealing, but will provide a lovely and hard-wearing surface for your kitchen worktops for many years. 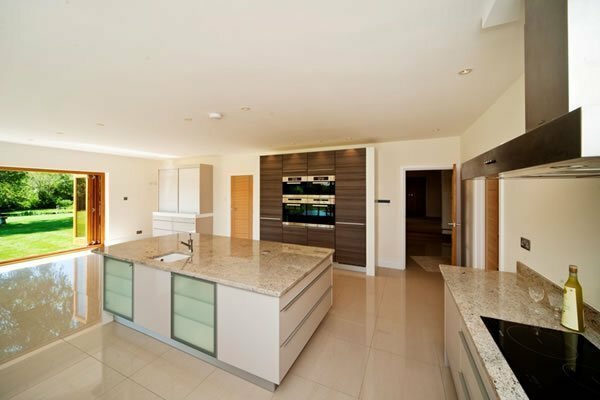 The kitchen is vast, a great context for the very large island. We find that, with the current trend to large islands, there is an unfortunate tendency to “overcrowd” kitchens: that could not be said of this magnificent space! The kitchen is vast; a great context for the very large island. We find that, with the current trend to large islands, there is an unfortunate tendency to “overcrowd” kitchens: that could not be said of this magnificent space! 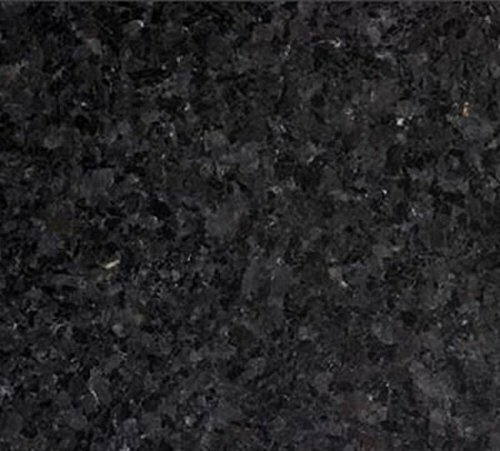 One end of the island features a large radius curve, right across the full width of the stone. 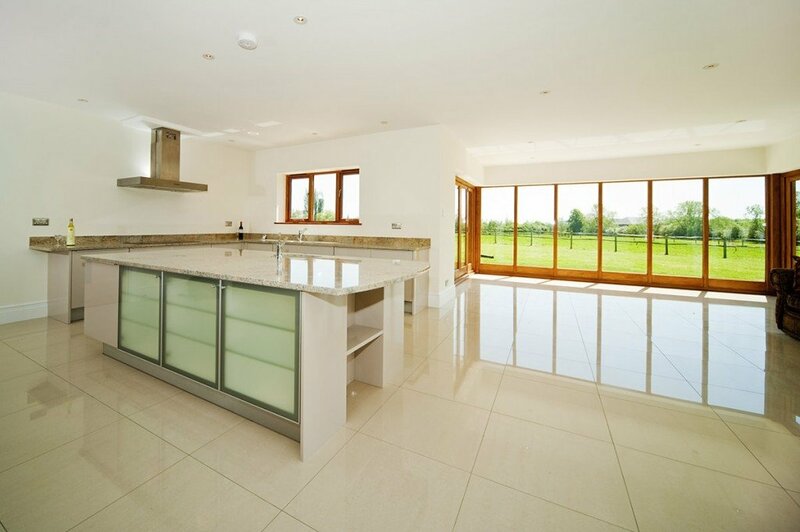 The effect, on the “open” side of the kitchen, is breathtaking. 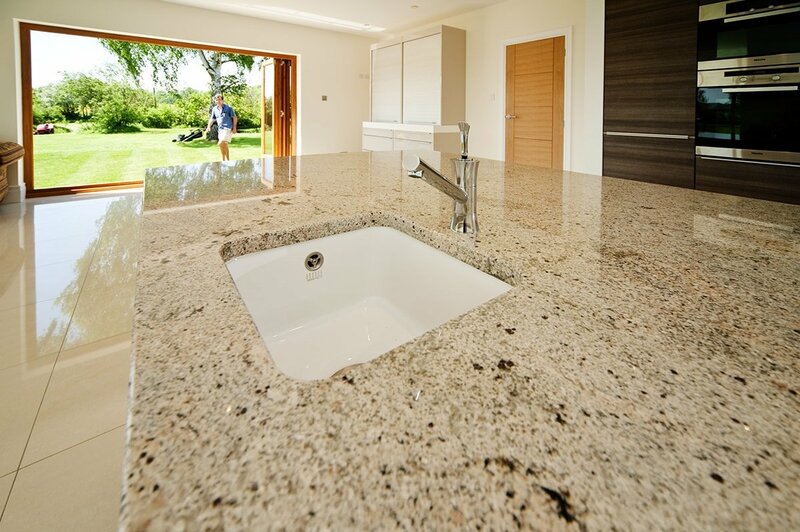 At the other end of the island, tight (10-20mm) radius curves give a smart effect, with small overhangs over the units and minimal loss of granite area. 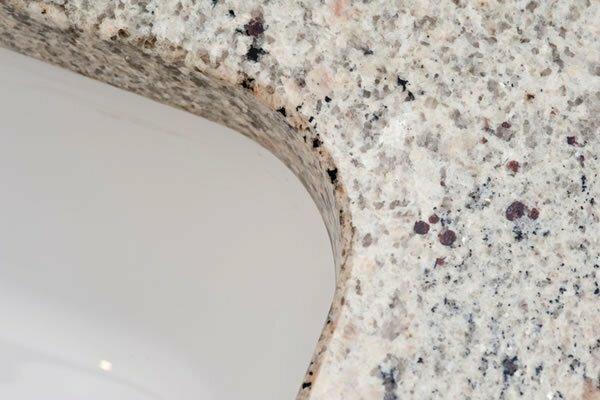 Detail of the internal, polished corner at one of the ceramic sinks, showing the standard bevel. 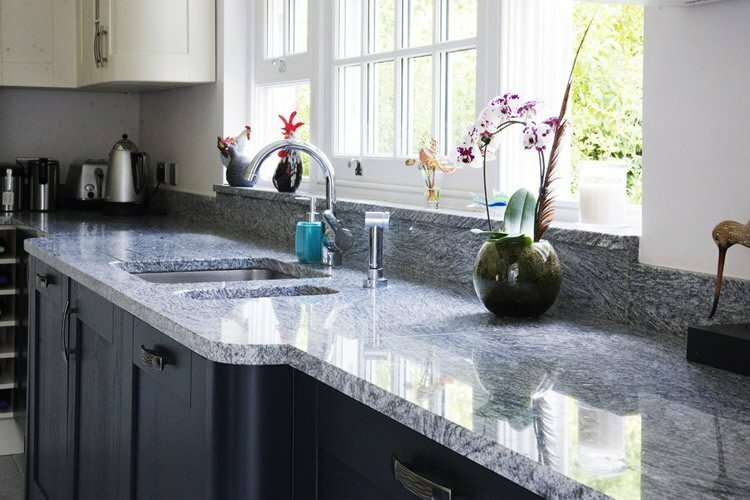 It can be seen that there is always a small overhang of the granite worktop at the edge of an undermounted sink. In line with current trends, significant storage space is gathered together into full height units (rather than wall units) with four tower-mounted ovens as a centrepiece. 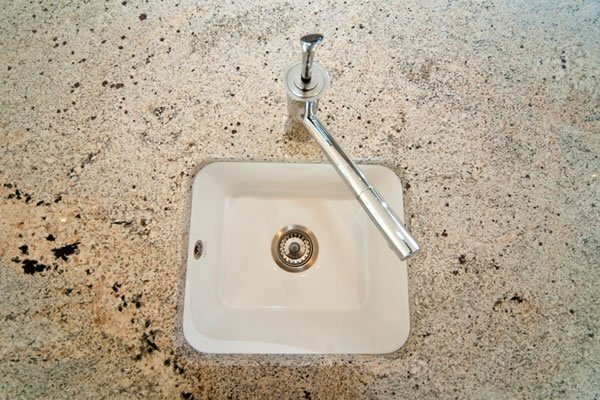 The island features a single bowl, ceramic Etrouno sink from the 1810 Company, complementing the one-and-a-half bowl ceramic sink on the window run. 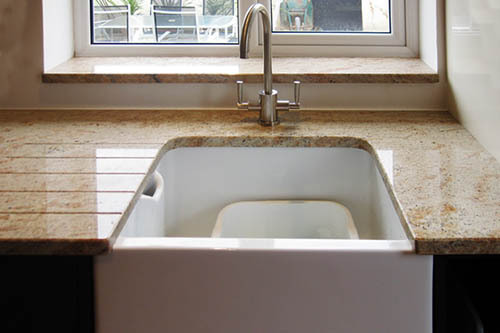 The pattern and colour range of Ivory Fantasy Granite worktops can be seen here.